The new BMW M3 CS. Munich. BMW M GmbH is presenting another exclusive, limited-run special-edition model in the shape of the new BMW M3 CS (fuel consumption combined: 8.5 l/100 km [34.0 mpg imp]*; CO2 emissions combined: 198 g/km*). With its accentuated sporting presence, the new M3 CS continues the decades-long tradition of successful M special editions which began in 1988 with the E30 BMW M3 Evolution. At the same time, the four-door high-performance sedan serves up a perfect blend of dynamism and everyday practicality. The 3.0-litre high-performance engine exceeds the output of the M3 with Competition Package by 10 horsepower, raising it to 460 hp. 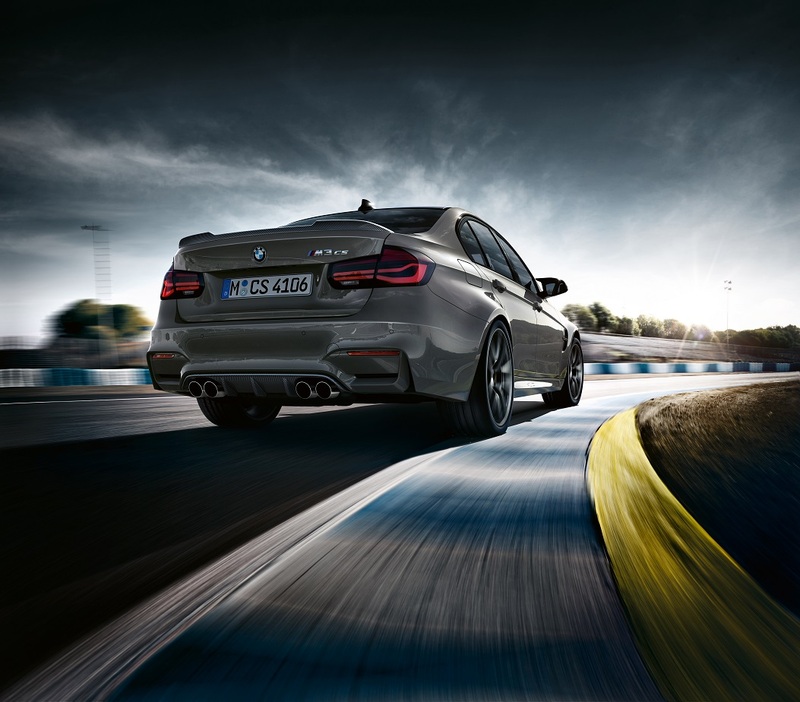 State-of-the-art M TwinPower Turbo technology propels the M3 CS from 0 to 100 km/h (62 mph) in just 3.9 seconds. The top speed of the new special edition, which comes as standard with the M Driver’s Package, is electronically limited to 280 km/h (174 mph). With its two mono-scroll turbochargers, charge air cooler, High Precision Injection, VALVETRONIC variable valve timing and Double-VANOS fully variable camshaft timing, the six-cylinder in-line engine takes a clear and consistent aim at the higher echelons of performance, but is equally committed to developing significant torque from low engine speeds and achieving high levels of efficiency (fuel consumption combined: 8.5 l/100 km [34.0 mpg imp]*; CO2 emissions combined: 198 g/km*). Pushing the new red start/stop button fires up the engine, and the distinctive sound produced by the specially tuned sports exhaust system of the new BMW M3 CS – with its quartet of tailpipes – proceeds to lay on a feast for the ears.